To recover data from orphaned OST file to PST, here is a versatile solution presented. For OST file repair process with absolute results, Outlook 2019 OST to PST Converter software is available for help. The tool recovers inaccessible or corrupt OST file, giving a smooth platform to retrieve Exchange offline data from OST file. Free demonstration offers data preview (calendars, emails, contacts, tasks, journals etc.) of recovered OST as well permit to export first 25 items per resource folder. The software recovers OST in two way & then shows Preview. Quick Scan: It is recommended when less Corruption in OST data. Advance Scan: It gives complete results, even if file is large in size & is extremely corrupted. If the emails of a specific time period are to be exported to MSG, HTML, PST or EML file, utilize the ‘Email Filters’ option. A period of time can be selected and the program willl convert emails of that specified span only. It has option to split a PST file by size to eliminate the risk of data corruption. A PST file can be divided into equal parts between the size 1GB to 45GB. If Outlook mailbox folders are to be exported according to preferences, OST file repair tool supports this also. Either entire OST file can be exported or folders can be selected for migration. The app has been built-up with option called ‘Naming Convention’. There are seven options provided to name the messages to easily sort and find them. Those users who wish to check OST convert to PST toolkit working, can download its demo version. 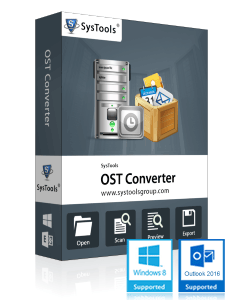 This demonstrative utility is developed to increase the confidence of the user so that they can install the full version of the OST to PST Converter software without thinking much. Using it user can preview the recovered OST database but they are barred to save those recovered items. I needed my OST file email data of particular days range, and the filter option given in OST converter free tool made this possible within few click. I am extremely glad that I got my desired data recovered. It's amazing features and its performance is simply splendid. I would definitely suggest my colleagues to use the same.